Please choose "Other" at payment. Then contact me with you paypal email address. I will go over terms with you through convos. This is only available for my painted items. Crystals are not included. That's it folks! Custom and made to order items are done for the season! A huge thank you to all my customers for keeping me so busy this month. 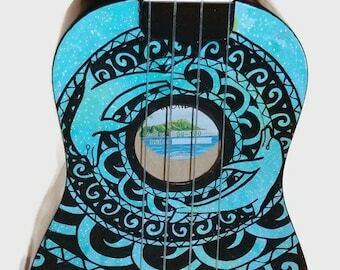 Please enjoy a discount on my ready to ship ukuleles throughout the 18th! Use code READYSHIP. Prices now reflect $25 off all ukuleles and $10 off tambourines for a limited time! These 3 on sale and ready to ship for Christmas! Creatively turning ideas into art. I have been involved with photography for about twenty years. It has always been a passion of mine. Just in the last 7 years or so I have turned my hobby into a fun and lucrative source of income. I have done weddings, parties, and portraits; but my love lies in nature and landscape. I enjoy taking the ordinary and giving it a fantasy hook. Drawing and painting have also been a big part of my life ever since I can remember holding a pencil. 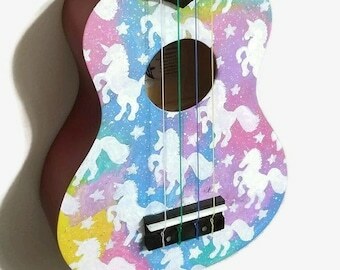 I could never really decide what to do with it up until recently when I started painting on musical instruments. So far it seems to be going really well and has turned into a new obsession. Please visit my site! www.kumbyart.com Welcome! I'm Jenni, from Rochester, NY. Recently I have fallen in love with painting musical instruments. I love recreating normal things into something beautiful and interesting. Angelina specializes in illustrations, and helps with color application. She is a bright new artist, eager and ready to take on the world.